Coils twisted and forced by an inner tension; wrapped tight, like ropes around an invisible force. 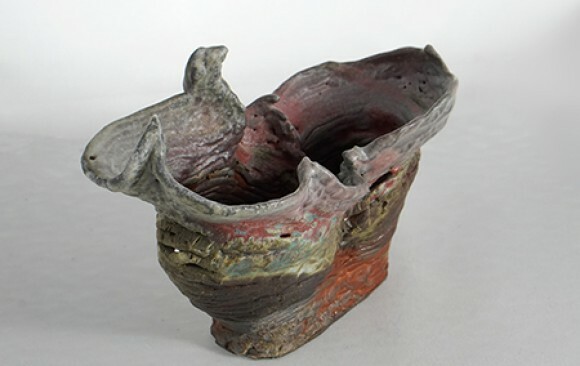 In finding their way the push / pull forces curl into carved vessel shapes. 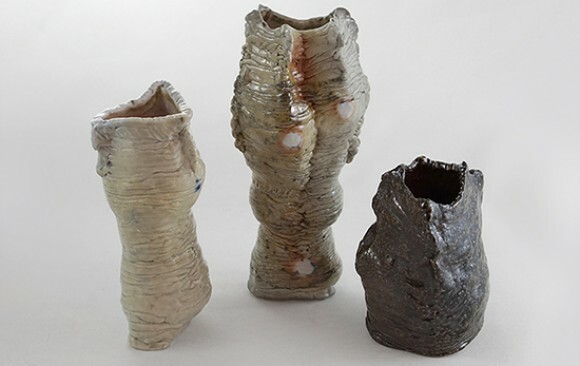 Each of these vessels is a container, a shell, a record of what was happening at the formative moment of its creation. But the story doesn’t end there. It has actually just begun. The moment when each shell or vessel comes in contact with another it becomes part of a dynamic gathering of its alikes. 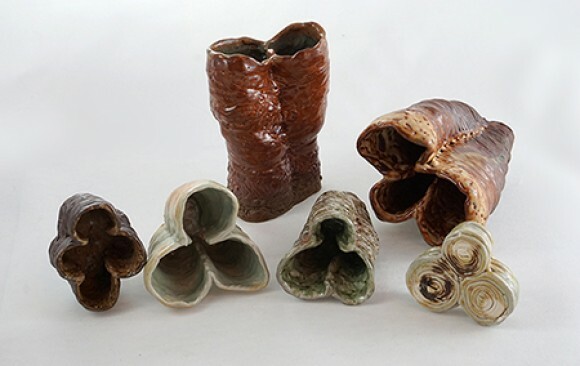 The vessels, shells, containers come together as parts of dynamic unions / gatherings. Families provoking, interacting, influencing,complimenting each other. Configurations are interchangeable as pieces relate to others in many different ways. This aspect of the work makes it almost alive, yet very vulnerable. The symbiosis of these gatherings, unions and congregations is what binds them together into sculptural installations.